Please apply by February 15th. Tour includes Northeast of the US and Eastern Canada. *Ages 11 & 16 are permitted to come on a case by case basis. Cost : Everyone involved in this project volunteers their time. We see this service as our contribution to Srila Prabhupada's ISKCON movement. Your daughter's donation covers their expenses to travel. Click here for fee schedule. Please sign up early for Early Bird Special (deposit due on March 15th). All payments due May 15th. Application: Please fill out the online application form found under the Apply Section. We will be accepting the initial batch of applications until February 15th. Please get your application in by then in order to ensure that we will have the space. By February 22nd, you will be informed if your child has secured a spot on the tour. We will hold your daughter's spot until April 15th. If we do not get a deposit by April 15th, the spot will open up to girls on the waiting list. Airplane Travel dates can be found under the FAQ section. 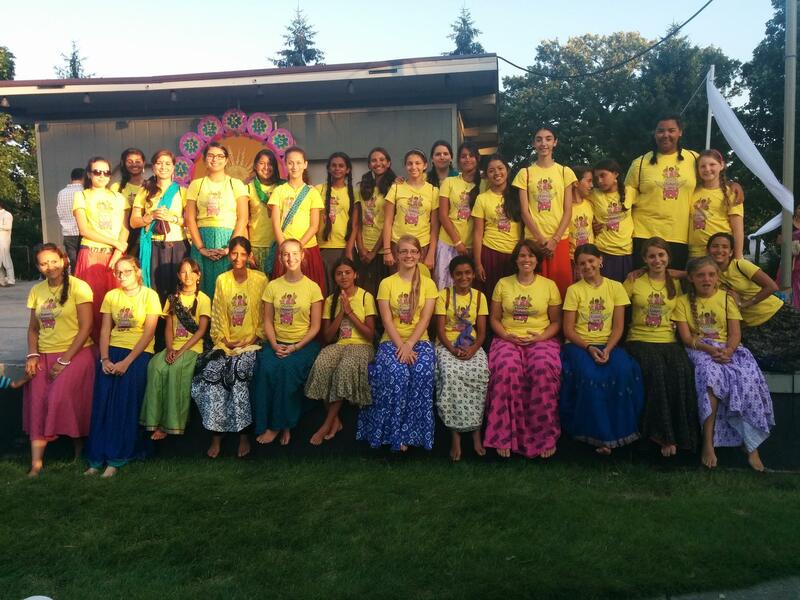 Kishori Yatra girls’ tour is an all-inclusive, spiritual adventure tour bringing girls, ages 11-16, to different temples and communities around North America during the summer. It focuses on developing vaisnava qualities, visiting holy places, building friendships, and providing a framework for loving devotional service to be performed. The girls engage in service opportunities at the temples they visit and give the temples their expression of bhakti through a devotional arts presentation. They also engage in adventure activities such as camping, recreational games, and occasionally visit theme parks.